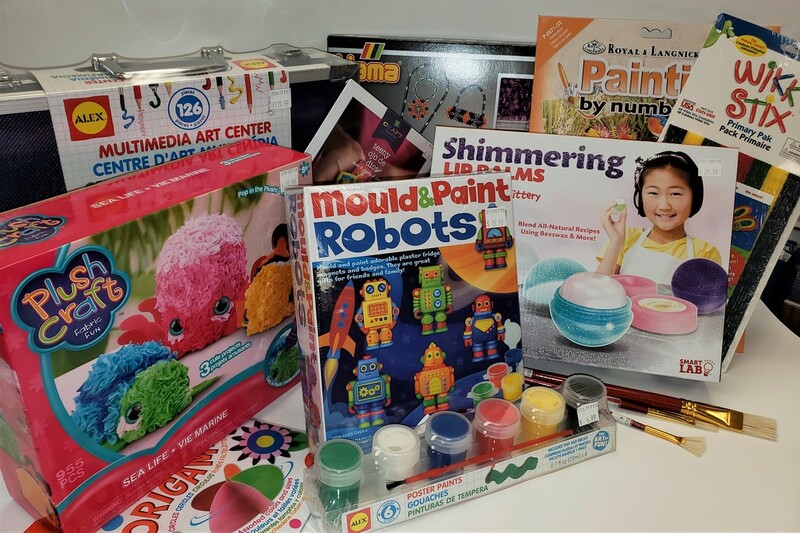 Gingerbread Toys strives to provide developmentally appropriate, good quality, and fun toys for children of every age. We've filled our store to the brim with lots of fun things to discover! Here are just some of the many product lines we carry. Don't see what you're looking for? Give us a call, there's so much more in store and we do special orders too! 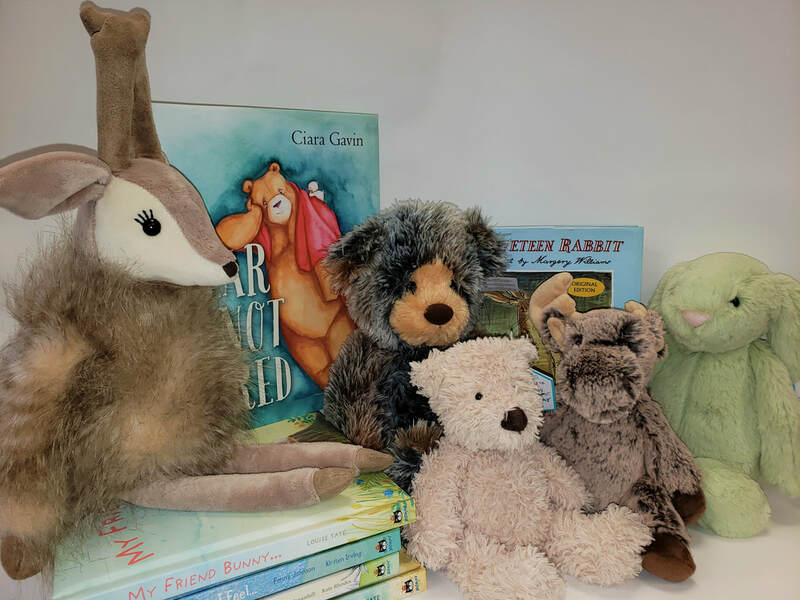 We carry a wide variety of plush animals from Jelly Cat, Douglas and Manhattan Toys - and what pairs best with a fluffy new friend? A book of course! Many titles in stock, everything from board books to the perfect bedtime story. Babies need toys too! As infants develop and are learning to interact with their world, many discoveries can be made with the perfect toy! We carry the best infant toys such as teething, stacking, bath toys and so much more from trusted brands such as Lamaze, Plan Toys, Wow and Early Years. Pretend Play is important to build skills in many developmental areas. Engage your child's nurturing side with dolls from Corolle and Baby Stella, as well as checking out our large selection of play food, dishes, tea sets and other household pretend play items from Learning Resources, Playwell and Schylling. There's nothing quite like the joy of artistic creation! We have lots of basic supplies like art paper, paint and clay. Plus we also have an extensive selection of craft kits by Alex Toys, Hama Beads, Plushcraft and more! 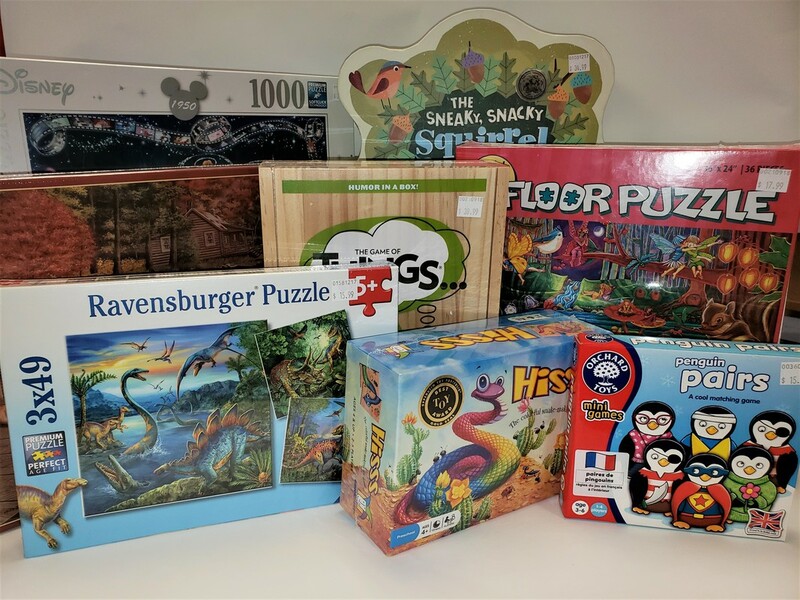 As avid game players, we are always searching out the best new games and make sure to have the classics on hand too, everything from toddler to adult and family - let us help you pick out the perfect game! ​We also carry a wide variety of puzzles from 2 piece for the littlest ones to 5000 piece for the adults! 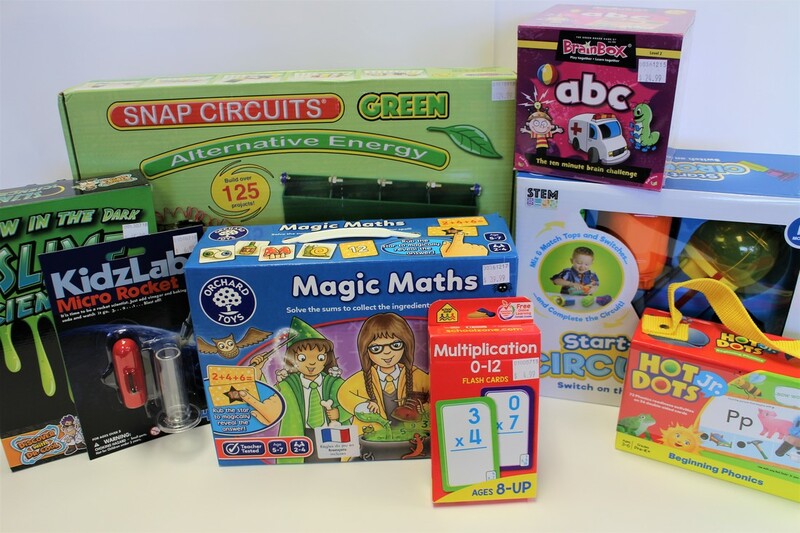 Ravensburger, Trefl, Orchard Toys and Cobble Hill are just a few of our favourite brands! ​Ask about your special discount.